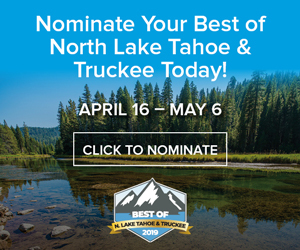 Are you a Truckee-area landscaper, landscape designer, in the nursery business, part of a maintenance crew or just curious about the Truckee River Watershed Council? Join TRWC Wednesday, April 23, Cedar House Sport Hotel, 10918 Brockway Road, Truckee for a River-Friendly Landscaping and Weed Warriors Lunch & Learn. Stay for the Weed Identification Workshop immediately following. Free lunch for Lunch & Learn attendees. Learn how to help the Truckee River watershed through implementation of River-Friendly Landscaping measures (BMP’s). Receive weed identification materials and how to educate people and work in the watershed to identify, report and manage the spread of invasive weeds. Noon-1:30 p.m., Lunch & Learn; 1:30-3:30 p.m., Optional Weed Warriors Weed Identification Workshop. RSVP by April 5 to Jeannette Halderman at jhalderman@truckeeriverwc.org or 530-550-8760. Funding for Weed Warriors, sponsored by Truckee River Watershed Council, has been provided by the Martis Fund. Funding for River-Friendly Landscaping has been provided full or in part through an agreement with the State Water Resources Control Board and the U.S. Environmental Protection Agency under the Federal Nonpoint Source Pollution Control Program (Clean Water Act Section 319). Northstar’s annual Spring it On! Festival is scheduled for Saturday, April 5 and Sunday, April 6. The two-day spring celebration will offer family activities such as live music, complimentary balloon twisting and face painting for kids and kids-at-heart at The Lodge at Big Springs. In addition, Northstar will host live music every weekend throughout spring, as well as daily skating and the Ripperoo kids’ parade each Saturday afternoon — all in The Village at Northstar. Easter egg hunts and photos with the Easter bunny are scheduled for Sunday, April 20, as well. Join a free community event in honor of National Poetry Month with poet June Sylvester Saraceno. She will read from her newly released book of poetry, “Of Dirt and Tar,” on Friday, April 4, 6-7 p.m. at Sierra College Tahoe-Truckee campus. Currently, she is English Program Chair at Sierra Nevada College where she directs the Bachelor of Fine Arts in Creative Writing and is faculty in the low-residency MFA program. She is founding editor of the Sierra Nevada Review. Her work has appeared in Mead Magazine, Smartish Pace, Southwestern American Literature, Tar River Poetry, Word Riot and many other journals and anthologies. Read more about “Of Dirt and Tar” at http://www.tahoedailytribune.com, search Saraceno. Have you ever wanted to gain a deeper knowledge of French food, wines, and cooking techniques? Then Stella’s four part lunch-lecture series, “Culinary Tour de France,” is for you. Join Executive Chef Jacob Burton or a multi-course lunch lecture. Each lecture will focus on techniques, influences and food culture, complete with a dish and wine pairing constructed to showcase the unique nature of the specific French region being discussed. The educational sessions take place noon-2:30 p.m. The cost is $97 per person (plus tax) and an additional $33 per person for wine pairing. For reservations call 530-582-5655 or email Stay@cedarhousesporthotel.com with “Culinary Tour De France” in the subject line. April 17, 11 a.m.-1 p.m., Truckee-Tahoe Airport, Experimental Aircraft Association Building, 10356 Truckee Airport Road, Truckee. Congressman Tom McClintock’s office is providing a forum for veterans’ service providers, American Legion and VFW representatives, and community program sponsors that assist active-duty military, wounded warriors, and military families. Representatives of Veterans’ advocacy groups or related organizations are asked to contact Joel Scott at the Congressman’s Granite Bay office, 916-786-5560, if they wish to participate in the forum. The forum will provide Veterans with the information they need to access the benefits they have earned. Representatives from Nevada County and Placer County Veterans Service Offices will join the Congressman’s staff to provide information on filing claims with the Veterans Benefits Administration. The 2014 Tahoe Truckee Earth Day Festival will return to Squaw Valley on Saturday, April 19. The free community event takes place in The Village at Squaw Valley from 11 a.m. to 5 p.m., and gives kids and adults the opportunity to learn about recycling, composting, alternative energy, and sustainability through hands-on activities the whole family can enjoy. At a diverse array of earth-friendly booths, participants can get dirty in the “composting zone,” explore new ways to recycle, learn about solar energy, and check out the “EarthCapades” — a series of environmental presentations designed to teach viewers ways to protect and preserve Earth’s natural resources. The event also boasts live music, raffle prizes, a dance presentation, “Trashion” show, and free community recycling event to collect old or used household batteries. T.A.R.T. will be offering free return bus services from the festival to North Lake Tahoe, Incline Village and Truckee. 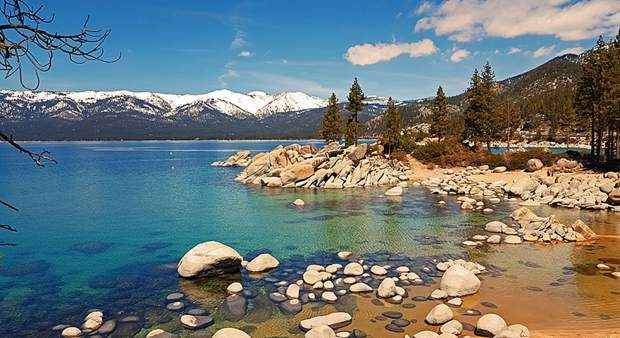 The Tahoe Truckee Earth Day Festival is a “zero-waste” event. Food and biodegradable waste will be collected by volunteers and Incline Village General Improvement District’s (IVGID) Waste Not to be composted. In addition, all food vendors will use biodegradable take-out containers. Trails & Vistas is an art hike created by people who love the blending of art in nature. 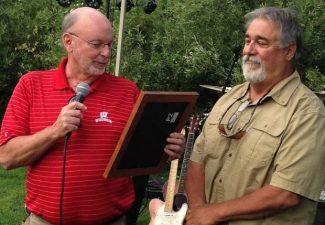 Started in 1994, the art hikes have grown and thrived through the energy of volunteers. Current volunteer opportunities include being a storytelling guide on Sept. 6 or 7 and welcoming visitors to the Saturday evening concert on Sept. 6. Many people with different talents work with Trails & Vistas to organize the celebration of the environment through the arts. Trails & Vistas is a guided art-hike where the audience experiences performances and beautiful art installations along a two-mile trail. Each group consists of 30 hikers and is guided by a Trail Leader. Trails & Vistas blends walking in nature with artistic expression. Visit trailsandvistas.org to sign up to volunteer under the “Support us” tab. The first training session will take place in mid May 2014.